On Tuesday night, July 19th, the Howard Hughes Corporation PULLED A FAST ONE on Manhattan Community Board One and its Seaport Committee. At the last possible moment, they brought their “minor” Modification application for Pier 17 for its first and only Public Presentation, informing CB1 that they were going to be in front of the NYC Planning Commission next Monday, a day BEFORE the Community Full Board is to meet. The “minor modification” showed a new access driveway road (entering on Fulton Street and exiting at Beekman Street) which would flood the residential neighborhood with Pier 17 delivery trucks. It showed a landmarked NYC historic building the “TIN BUILDING” recklessly diminished in size. 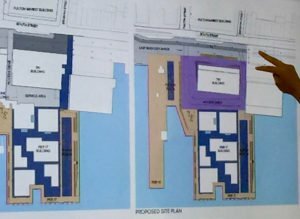 Members of the CB1 Seaport Committee protested the “coincidence” of the timetable, noted the less than “apples for apples” reconstruction of the TIN BUILDING and bemoaned the absence of a mitigation plan for delivery vehicles, to no avail. 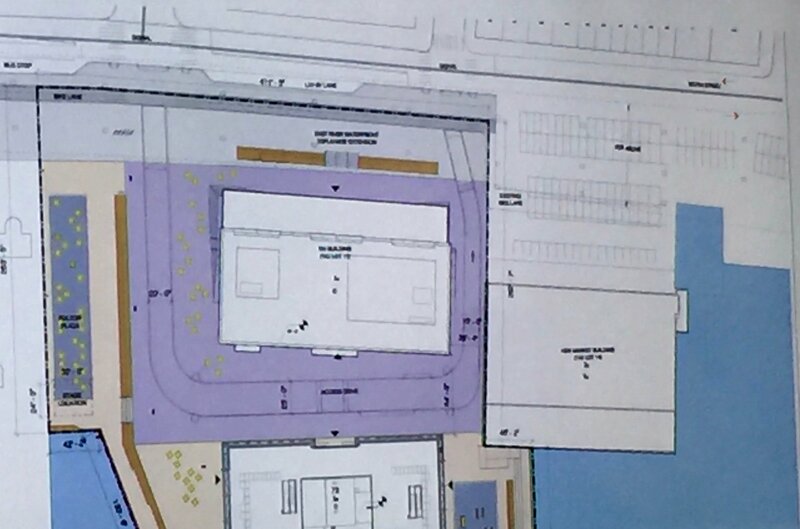 SAVE OUR SEAPORT calls upon the NYC Planning Commission to require the Howard Hughes Corporation to restore the TIN BUILDING to its original size and to require the applicant to offer a workable truck traffic plan. 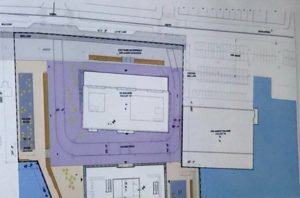 What is happening to our Seaport?